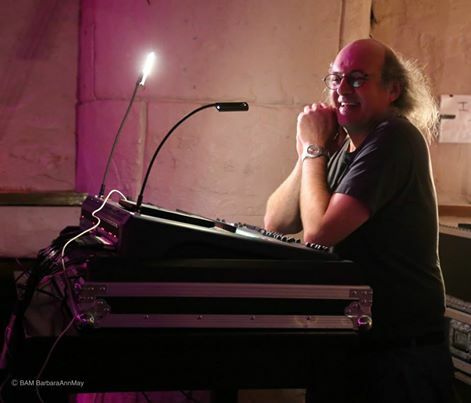 Steve Rispin has been involved professionally in the music business since 1981, when he started running PA Systems for students union events. On graduation, Steve worked at Village Way Recording in Harrow and then Tin Pan Alley Studio in Denmark St, Soho. Leaving TPA in 1986, Steve went freelance, working on several progressive and metal projects, including Sabbat albums for Noise Records. This led to a year living in Berlin at Skytrak Studio. Steve returned to the UK in late 1989, and became more involved with live productions, working with Kingmaker for Chrysalis, Pendragon for Toff Records and Threshold for Inside Out amongst many others. An offer to help develop The Bottom Line club in London led to a few years working with internationally renowned Blues artists, but the shareholders eventually sold the business on. Maintaining the Live side, current clients include: The Carl Palmer Band, Greg Lake, Family (with Roger Chapman), Lifesigns, Chris Norman, Fish, Asia, Mostly Autumn, and Harley-Davidson. Steve worked FOH for 12 years, for the internationally-renowned guitarist Alvin Lee, until Lee’s recent tragic death at the age of 68. More detail of Steve’s career can be seen here.